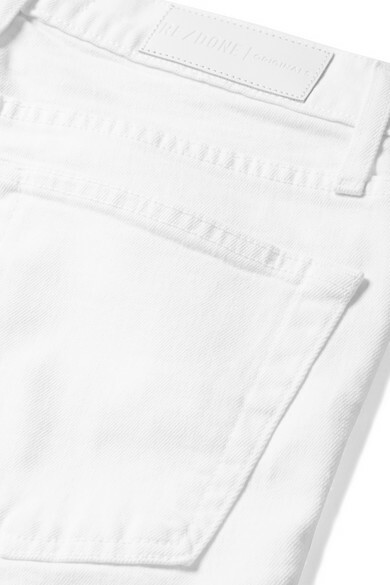 RE/DONE's 'Originals' jeans are woven with a hint of stretch for a close, comfortable fit. Designed to sit on the narrowest part of your waist, this pair has a skinny fit and raw, cropped hems. Think of the white hue as a blank canvas and wear them with everything from boldly printed tops to neutral sweaters. Shown here with: Eytys T-shirt, Acne Studios Blazer, TL-180 Shoulder bag, SIMON MILLER Sandals, Laura Lombardi Bracelet.